I was never a big fan of the taste and texture of pears. I’m positive that everyone has been turned off by an overly crunchy pear after “ripening” on the counter for weeks – at least once in their lives. That being said, I am in the middle of a pear Renaissance this fall. For this recipe, I used Forelle pears. They are tiny little jewel-toned gems, and are perfectly sweet when baked. 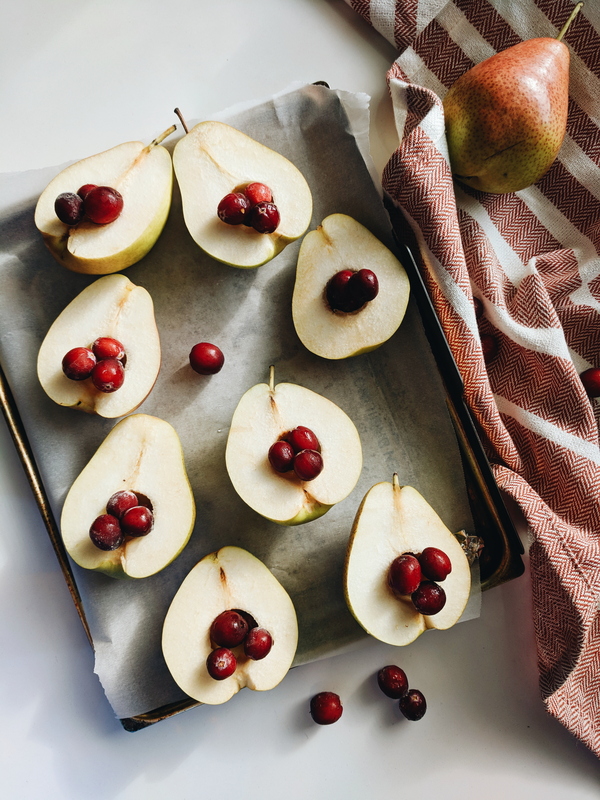 I drizzled honey onto each pear half and stuffed the cored centers with fresh cranberries. Then, I dotted each half with butter, and baked at 375°F for 40 minutes. About half way through, I added more butter and honey to the pears. 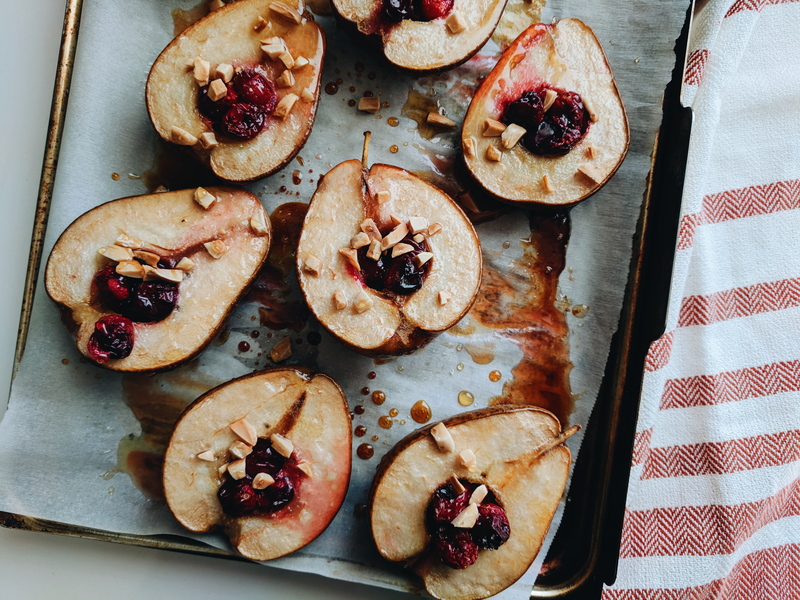 They turned out tender, sweet, and slightly tart from the cranberries. I topped them with toasted almonds for dramatic effect. They’re perfect on yogurt, oatmeal, toast, and even by themselves! 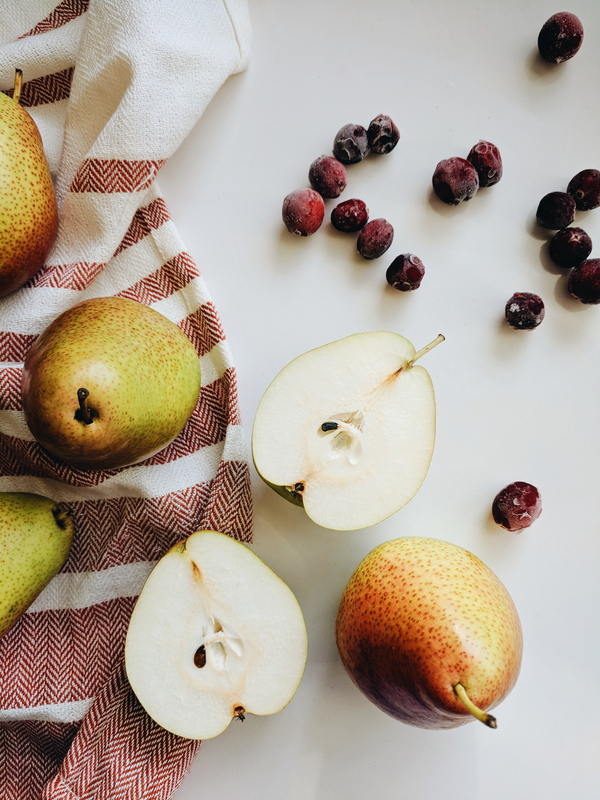 Baked pears look rustic and delicious! 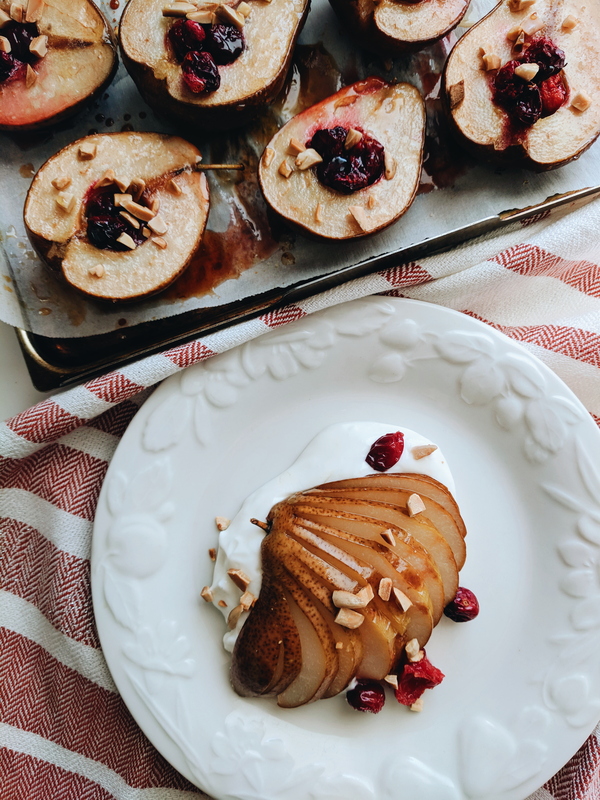 Baked pears is such a good idea to bring the pear game to the next level. And your photography is stunning!